Winter Landscape Plants Can Be Exciting! When you purchased your home, did you think about what the landscape would look like in winter? I’m going to make an assumption that the answer is no, and I am aware what assuming does. 🙂 When you went to see you home before you purchased it, maybe you fell in love with the beautiful summer blooms; all the color, the fragrances, and the green, or maybe you fell in love with the shrubs and the trees; they looked like they would provide some good privacy after all. But one area most of us overlook are the plants that continue to give through the winter. These plants can provide some of the best privacy, many tend to be quite tolerant to different conditions, and there are some with fascinating texture. Texture and color can look dramatic and add a lot of interest when the ground is covered in white. 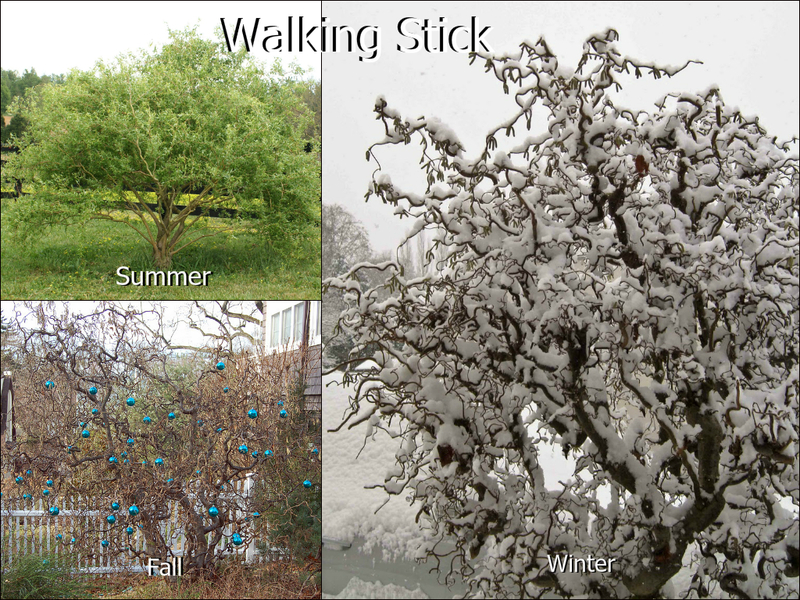 One of my favorite stars of winter; Henry Lauder’s Walking Stick (Corylus avellana Contorta), it has very dramatic branches that twist and curl in every direction. 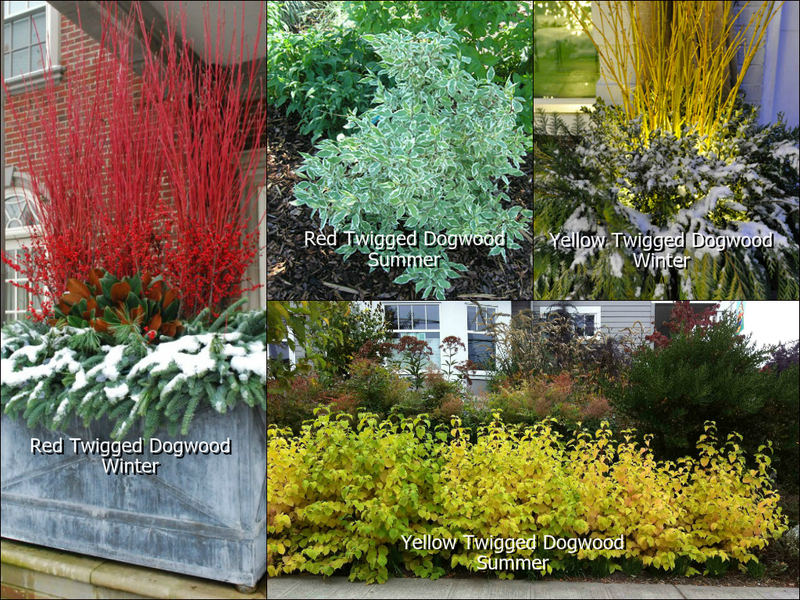 My favorite in the color category…red stemmed dogwood, the yellow stemmed dogwood comes in right beside. Both look very colorful in winter, but I like the contrast of the red with the evergreens and the white snow, it looks very “Christmassy”. If you’re missing flowers in the winter (like I always am), then Hellebores, or Lenten Roses, will perk you up as winter is winding down. Hellebores are easy to grow and love the shade (they will get along nicely with your Hostas). Another beautiful flower that blooms in winter is the Camellia. 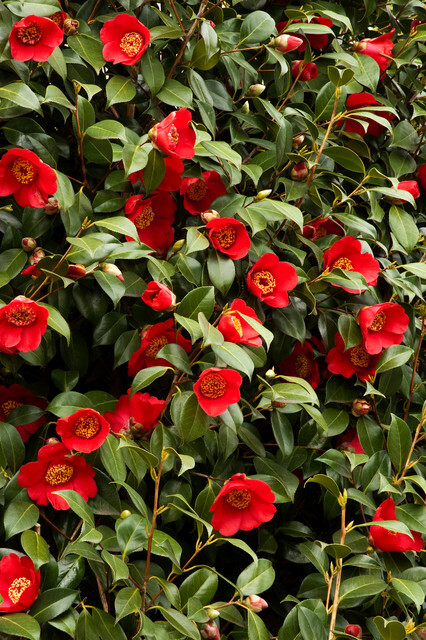 Most varieties of Camellia are easy to grow in zones 7-10, I’ll warn you not to Google the varieties grown in zones 7-10…they are stunning, and might leave you with the urgent need to purchase one and grow it indoors. But hold the credit card, you are in luck Kalamazoo and Grand Rapids…there are cold hardy varieties that will make it in our zone! Check out the Ice Angels series of camellia, which is cold hardy.